This picture has been doing its rounds on Facebook, and is something that I'm keen on trying. A couple of our friends have already started on their jar. 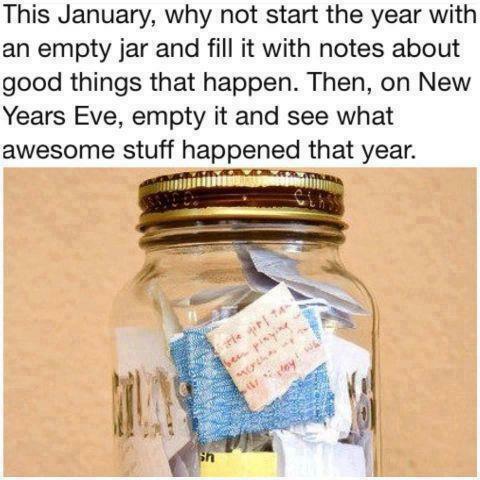 Hubby mentioned that we have an "Awesome Stuff in the Jar" party on New Years Eve 2013. Each member of the party will randomly choose 5 pieces of paper out of the jar and share it to everyone else. It sounds like a great way to reflect on the year that is about to end, and a new one begins. Go on, do it! 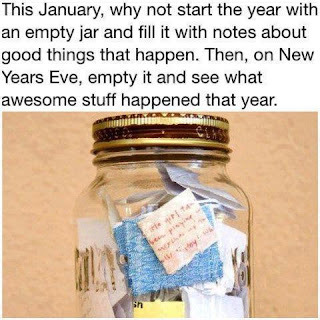 See how many good things YOU can accummulate in the jar in 365 days! Who is going to have an "Awesome Stuff in the Jar" party? Thanks for your comment :) I agree it is a wonderful idea!